Fall days are here once again and with them comes the arrival of crisp mornings, crunchy leaves and everyone's favorite autumn fruit, apples. Some choose to bake them in pies, while others think their flavor stands out best in a crisp. Here at Barritt's Ginger Beer, however, we prefer to take a different approach. We're giving one of fall's most beloved flavors an upgrade this season with the addition of Barritt's Ginger Beer and our favorite spirits. Get a true taste of fall with these apple-infused cocktail recipes. Combine all ingredients, except for Barritt's Ginger Beer, into a large pitcher. Cover and refrigerate for at least four hours. Strain mixture and discard spices and orange peels. Return the mixture and apples to the pitcher. Distribute the mixture into glasses, filling them only halfway before adding apple slices to each and topping with Barritt's Ginger Beer. 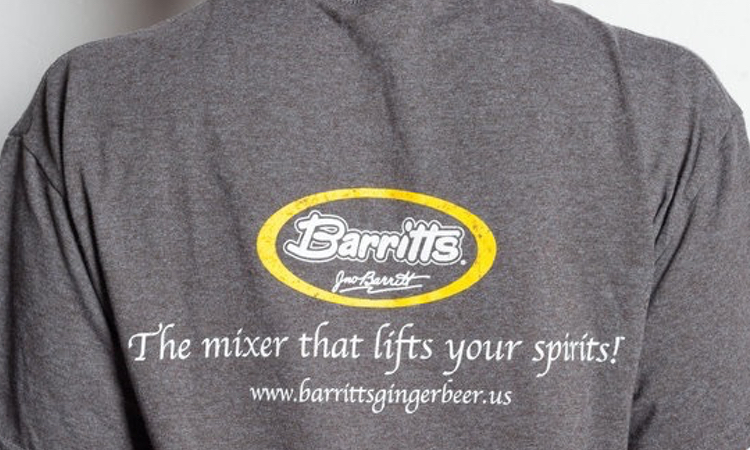 Add apple cider and whiskey to an ice-filled glass, stirring to combine before topping with Barritt's Ginger Beer. Combine all liquid ingredients in an ice-filled copper mug. Garnish with apple slices and caramel candies. Do you have a favorite apple-infused cocktail featuring Barritt's Ginger Beer? Do tell! Share your favorite recipes in the comments below or head to our Facebook, Instagram or Twitter account to share.